For some of us animal-lovers with pets at home, planning a vacation also means thinking about how to make them travel with us. When you cannot bear to be parted from your animal-friend, you take him along with you on your holiday. Depending upon what pet you have – a talkative parrot in a designer cage or your wise-as-a-sage goldfish in a glass bowl, a self-obsessed feline diva or your eager-to-please unreserved Labrador – you prepare differently for the trip. So book hotels in Lonavala and plan your stay with your pet with these quick tips. The Crate Investment – Get a well-ventilated crate. There are plenty of options available in the market. With hard plastic bodies and soft-sided interiors, your cat or dog will travel in comfort. Make sure it is a big sized one for your four-legged friend to sit, lie, roll. If you are travelling by car, you need to figure out how to place and secure the crate on the seats from beforehand. The air-conditioning in the car will help keep the journey comfortable – for you and your furry friend. Crate It – Buy a big, well-ventilated crate to ensure a comfortable journey for your pet. Prepare your Pet – A mid-journey meltdown is the last thing you want to deal with. Prepare your pet for the impending trip by placing him in his crate and taking him out for short trips. Slowly lengthen the duration of each outing so that he gets used to the idea of being inside his crate for long stretches of time. This will familiarise him with the experience and he will know what to expect. Practise Short Trips – Take short trips before your journey to familiarise your pet with his crate. The Feeding Schedule – No matter what time of day you set out, feed your pet at least two to three hours before departure. If humans can feel nauseous on full-stomachs on road trips, so can animals. Besides, being confined in the crate really does not help matters here. If your bird is travelling with you, clear out the food-tray in the cage long before you embark on the journey. The feeding schedule may have to suffer a few disruptions during the trip but it is better to eat early than feel road-sick. Feed Ahead – Feed ahead of time to avoid road-sickness. Travelling Kits for Pets – When packing a travelling kit for your pet, pack whatever you know will come handy. From medicines to meals, food bowls to leashes, waste scoops to garbage bags, toys to grooming brushes – these are a few of the things you might need on the trip. Do not over pack of course. Take your dog’s favourite toy, not all his toys! Just What You Need – Carry what you will need in the travel-kit, nothing extra. Identity Document and Vaccination Record – It is always a good idea to carry your pet’s vaccination records to meet unforeseen situations. Your pet could also carry a microchip or wear a collar with all contact details clearly stated on them. From your phone number to the phone number of the hotel in Lonavala where you plan to put up – write it on the collar. Name of the Owner – Tag your pet with your name, phone number and address in case he gets lost at a new place. Drinking Water On-The-Go – Buy bottled drinking water for your pet. It is always better to be safe than sorry. You never know what might give him an upset stomach and having a sick pet to deal with on your vacation is a total buzzkill. So buy those sealed drinking water bottles for your beloved four-legged friend and breathe in peace. Drink Clean – Opt for bottled drinking water for the journey, it is the safest bet. At Your Lonavala Hotel – If you are travelling with your goldfish, you have nothing to fret over. However, if it is your demonstrative dog you are vacationing with, you have to make sure he is trained. For the convenience of other guests at the hotel and to make sure that he does not get in anyone’s way, your dog must know how to rein-in his exuberance. Train your Dog – That he responds to command is vital. Train him for public appearances. 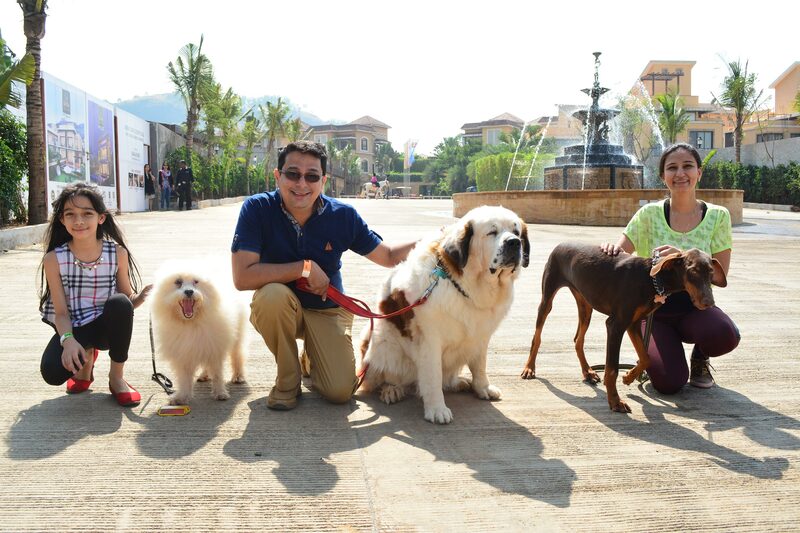 The hotels in Lonavala greet guests and their animal-friends for pleasant stays and happy vacations. Apply these tips and you are good to go.